First up in our Bombay Malt & Cigar club’s blind tasting surprise evening was a familiar friend in a slightly different age that we ordinarily encounter. Which seemed to be exactly what our whisky curator wanted to achieve – trip us up with a less usual avatar of a well-known whisky. Nose – Sweet caramel, lots of vanilla, hint of flowers, hay with a touch of dry wood, none of the typical fruity elements, except perhaps pear? The smoothness was remarkable – particularly as the 1st dram of the evening there was none of the typical 1st sip reactions. A superb choice to start off our tasting! Our speculations about region began as a default of Speyside (so many come from that region it is an easy pick!) but as we became more acquainted with the whisky, highland became the region of choice. We pronounced it quite ‘classic’, well constructed, balanced, and while not complex, a quite lovely beginning to our evening. With the reveal… some surprise. Typically in recent Old Pulteney whiskies, the maritime quality is quite pronounced – particularly in the standard 12 year and the superb 21 year. What stands apart from many others is that slightly briney salty edge. We are no strangers to Old Pulteney either. While I may be a more recent convert thanks to Inver House entering India, another member has been a fan for decades. He shared that this particular Old Pulteney reminded him of what the distillery used to produce years ago… a classic, enjoyable, accessible daily dram you would be happy to settle down with. Matured in fine oak casks, quietly breathing in the fresh sea air, Old Pulteney is the very essence of this unique place. Intricate, balanced and with a delicate mineral-salted spiciness, Old Pulteney is a distinctive and evocative spirit – truly The Maritime Malt. It paired well with our cigars (Gurkha 17 year) and a serious dent made in its contents by the end of the night! 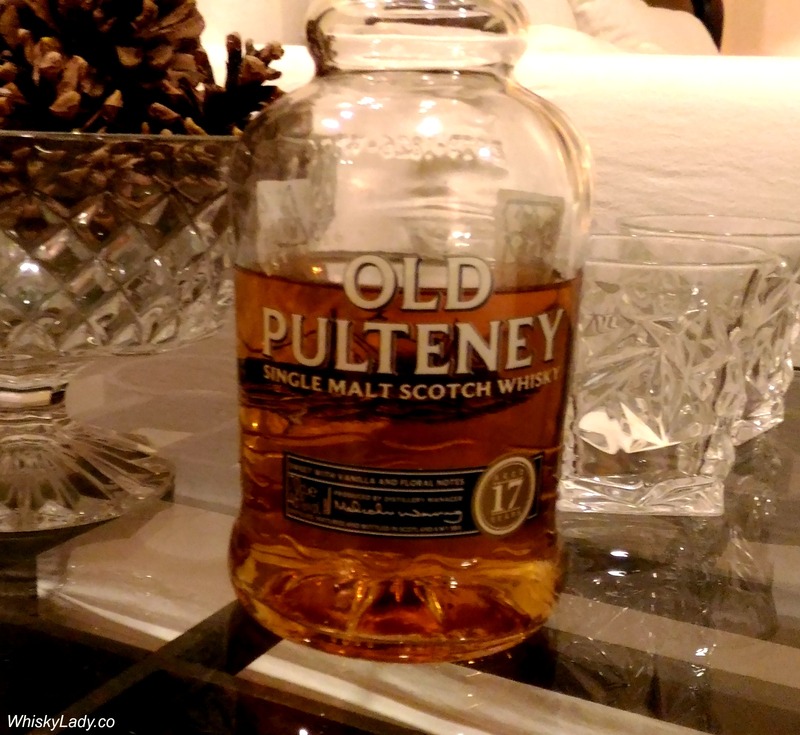 This entry was posted in Highland, Scotland and tagged Old Pulteney, Old Pulteney 17 year by Carissa Hickling. Bookmark the permalink.